Lucknow: A candle light march was held at Chota ImamBara Lucknow on Saturday to show solidarity with the victims of New Zealand’s twin mosque terror attacks in which 50 people were killed. People from different religious background came together and strongly condemned the terror attack on the worshippers in New Zealand. 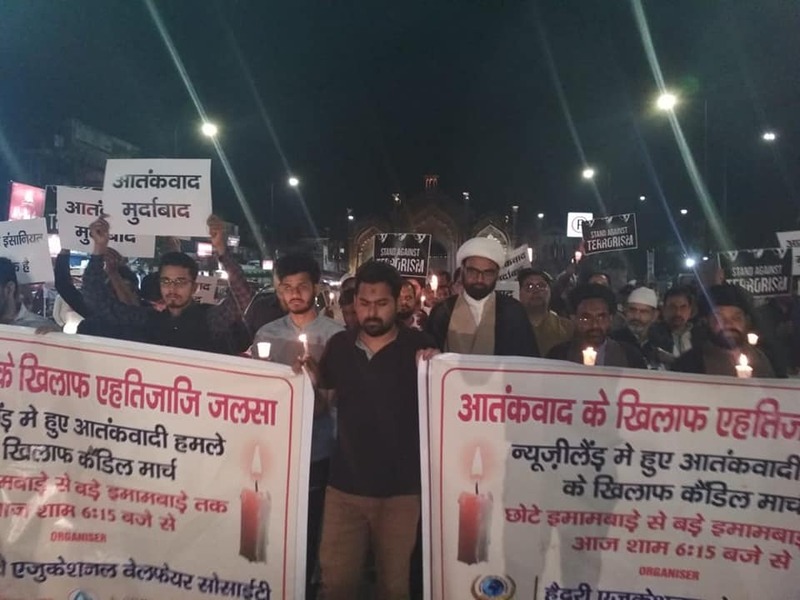 Maulana Saidul Hasan Naqvi who was also present in the candle march said that terrorism is a kind of disease and it should in no way be attached to any religion. He also added that it is very unfortunate that if a person does any such thing it’s immediately attached to his religion. The people in the march voiced for peace and said no matter where terror attack happens we should come together to condemn it. In the worst ever terror attack in New Zealand, multiple gunmen carried out indiscriminate shootings at two mosques in Christchurch during the Friday prayers, leaving 50 people dead and many wounded.